Order in 12 Hours 47 minutes 55 seconds for dispatch today! The climbs are in a disused limestone quarry 12 miles SW of Kilkenny. It is a pleasant wooded area and the quarry has been cleaned up to create an amenity area. 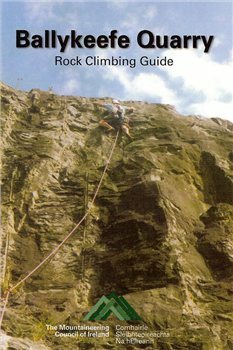 The majority of the routes are 7-10m high, a few in double figures. Grades up to E3. Bolts have been used but this is not a sport climbing cliff.